Afghanistan is considered to be the most dangerous and poorest country on the planet. This country is often mentioned in the international news because of the numerous and lengthy periods of war as well as the threat of terrorism. Afghanistan does not develop still international tourism. Indeed, in such a lawlessness and lack of security is hard to talk about economic development. This poor country is first also in another black statistic – Afghanistan is a world leader in opium production. Afghanistan covers an area of 647,500 sq.km. It is located in Central Asia between 29.23 and 38.29°N and between 60.31 and 74.53°E. It is bordered by Iran, Turkmenistan, Uzbekistan, Tajikistan, Pakistan and China. The country does not border an ocean or sea. The Arabian Sea, which is a part of the Indian Ocean is approximately 450 km from Afghanistan and the Caspian Sea is more than 660 km north-west of the country. Afghanistan falls within the subtropical climate zone. Local weather is very harsh with strong continental character. Summers are extremely hot and winters – very cold. Local climatic conditions are dominated by clear and cloudless weather and negligible rainfall throughout the year. The constantly dry weather conditions have led to the formation of vast deserts and semi-arid areas. Due to the high altitude of the country, large parts of Afghanistan have typical mountain climate, which is generally much colder. For example, the high mountains are covered with snow and ice all year round. Afghanistan has mostly mountainous terrain. Through the country passes the Alpine-Himalayan mountain system that stretches from the Atlantic to the Pacific. The Hindu Kush Mountain Range is impressive. The average altitude exceeds 4300 m and the highest peak Mount Noshaq raises to about 7492 meters above sea level. Much of the territory of Afghanistan is occupied by the barren Ghazni – Kandahar plateau. It includes the territories south of the Hindu Kush. The southern-most part of Afghanistan is occupied by desert plains and hilly areas with significant altitude. Afghanistan is very poor in waters, despite the prevailing mountainous relief. There are just two big rivers – the border river Amu Darya in northern Afghanistan and the Helmand River, which springs from the Kandahar plateau and flows through the southern desert areas. Forests occupy extremely small part of the territory of Afghanistan. According to the UN only 2.1% of the country is covered by forests. The existing forests are constantly being cut for household needs of the local population. The typical Afghan landscape is monotonous, rocky, beige or brown in color, with no vegetation. Here you will find some of the most barren and harsh lands not only in Asia but worldwide. One of the very few attractions of Afghanistan are the Band-e Amir lakes. Situated among almost lunar landscape, these lakes stand out with their variety of shades of blue. There is no other place in Afghanistan to see such impressive water resources. Afghanistan population is over 31 million people. 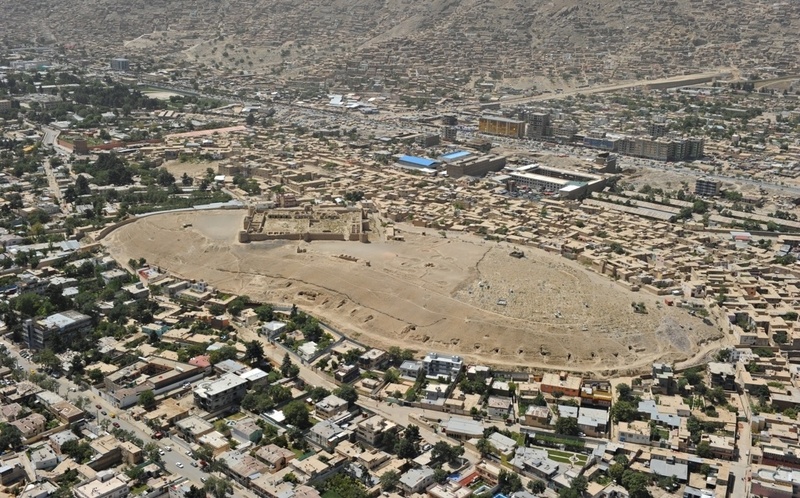 The largest city in the country is the capital Kabul. The urban agglomeration has a population of about 2.5 million people. Other major cities are Kandahar (nearly 470 000 people), Herat (400 000) and Mazar-i Sharif (about 380,000). Official religion in Afghanistan is Islam. About 80% of the population is Sunni, while the rest is mostly Shia. Official languages are Pashto, also known as Afghani, Dari (Persian), and some Turkic languages. Many Afghans have no access to quality health care. Here are wide spread some dangerous diseases such as diphtheria, pertussis and malaria. Afghanistan is one of the places in the world with the highest levels of infant mortality. Life expectancy does not exceed 45 years. The level of literacy is generally low. In the conservative religious communities in Afghanistan there is a total disregard for the rights of women and homosexuals, especially in isolated rural areas. Implicated in homosexual relationships could be punished by death! Local culture is based on conservative model that promotes disrespect for the human rights. The Afghani is the official currency used in Afghanistan. It has been in circulation since 1925, although it was temporarily replaced by the U.S. dollar. Today, Afghanistan is extremely poor agricultural country with a very low standard of living. Soils in the country are very poor in nutrients. Agriculture is possible only along the river valleys. Afghanistan exports dried fruits and nuts, but this is insufficient to maintain an acceptable standard of living. The country produces some types of minerals such as coal, iron ore and gold. Local carpets are the most famous Afghan good to export. According to a report of the UN, Afghanistan is a world leader in the illicit production of opium. For the impoverished local population this is profitable and easy to grow plant. Poverty and penury are everywhere, even in the largest and most developed city – the capital Kabul. The city is dominated by low and not maintained buildings with flat roofs, on which are often visible satellite dishes. The streets are lacked of greenness. There is only dust and ash. Outside the city center buildings often look very primitive. Afghanistan has led numerous and very long wars, which has left very deep imprint on the surface of this already poor country. Before gaining independence from Britain, Afghanistan repeatedly entered into conflict with the country. But that’s not all. During the Cold War in the 1970s, Afghanistan overthrew the ruling pro-Soviet Afghan government. With its typical determination, USSR did not hesitate long before to invade on the territory of Afghanistan. The hostilities began in 1979 and continued for approximately 10 years. Needless to say, that the effect on the economy of Afghanistan was extremely detrimental. A new conflict ignited on the territory of the country in 2001 st.
A military operation aimed to overthrow the Taliban regime was conducted by the most powerful and influential military organization in the world – NATO. This long-lasting and hard military operation achieved significant results, but the prospect of a better future in Afghanistan is questionable. WARNING! Afghanistan is the most dangerous country in the world! Travelling there is extremely dangerous and not recommended. The threat of terrorism is considered to be very high. This country is associated with the Taliban – a radical Islamic movement that emerged during the Soviet Union. Afghanistan is also associated with the terrorist organization Al Qaeda.